Underwater acoustic navigation system RedWAVE is designed to provide navigational data (absolute geographical coordinates and depth) of various underwater objects in a submerged state: remotely operated underwater vehicles (ROV), autonomous underwater vehicles (AUV), as well as divers (in case of using instruments in a version for divers). The principle of the RedWAVE system performance is similar to the principle of global satellite navigation GPS and GLONASS operation. With the main difference consists in the fact that the role of navigation satellites are performed by small and lightweight floating buoys – RedBASE that are relays of satellite navigation signals. In this case, the coordinates are generated directly on the navigation receiver RedNODE, which is an acoustically passive device. Such an arrangement of the system allows to simultaneously provide navigation data with an unlimited number of navigation receivers with the support of one set of buoys in one water area. 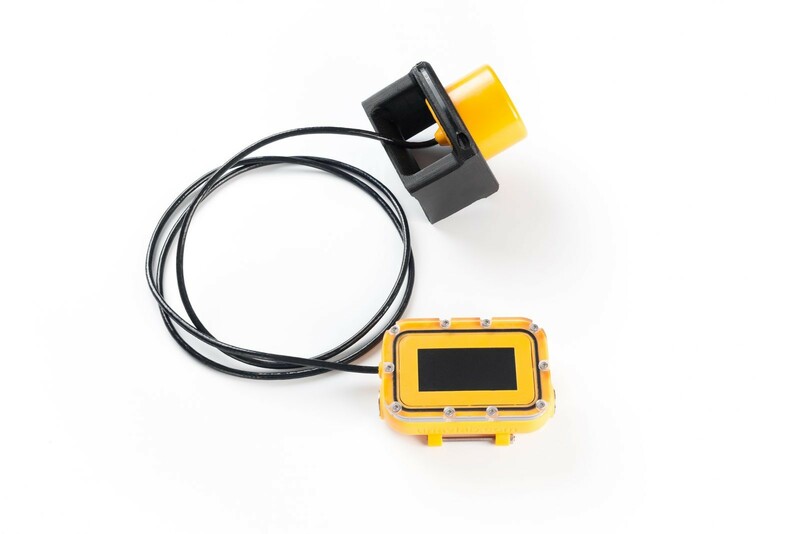 In the diving version, the RedNODE receiver is aggregated with a diver module interface, equipped with a high-contrast OLED screen and piezo buttons. This device, called RedNAV, allows the diver to determine the geographic location in the submerged state, without the need for surfacing and the use of remote GPS antennas on the cable.